What separated Gardenhire from the rest of the pack? Multiple sources told The Athletic’s Katie Strang that Tigers general manager Al Avila entered the process leaning heavily toward a candidate with previous MLB managerial experience. Gardenhire was seen as a seasoned, battle-tested option in this regard. In his thirteen-season tenure as the Twins’ skipper, he compiled a .507 winning percentage. In twenty-seven playoff games, he posted a .222 winning percentage. All of those playoff wins came in his first three seasons (2002-2004) with the club, and Minnesota missed the playoffs entirely, and by wide margins, in his final four seasons there (2011-2014). In my opinion, Gardenhire is the worst sort of “old-school” manager who lacks the ability to adapt to the modern game or develop young talent, two things of critical importance to this Tigers team in 2018 and beyond. He’s Jim Leyland without the edge, wit, or soul (which is to say: not Jim Leyland). He’s Dusty Baker without the success. He’s Clint Hurdle without the willingness to learn and adjust. He’s basically Bryan Price’s dad. Which is to say, not good, and vanilla at best. To this, Tigers fans should say: “no thank you.” That a coaching search that supposedly began with fifty names ended like this reveals a front office more tone-deaf than previous personnel decisions indicated. Research indicates that managers probably have little impact on game outcomes, and if Gardenhire is coming to Detroit merely to serve as an interim stopgap during the rebuilding process, so be it. If that’s the case, though, why not bring in someone younger and cheaper who at least offers the possibility of growing with the players and the club and developing into a long-term solution? Or, why not promote from within, like the Atlanta Braves did with Brian Snitker? The team’s coaching ranks weren’t short on people “with previous MLB managerial experience,” including Lloyd McClendon and Gene Lamont. Gardenhire’s not likely to be a detriment to the team, but his hiring feels like a missed opportunity and serves as a reminder that, after the Verlander decade, the Detroit Tigers’ rebuilding process will be a long and difficult one indeed. Following an injury-curtailed 2016, 2017 has been anything but the bounceback for which Detroit Tigers starting pitcher Jordan Zimmermann hoped. Little is trending in the right direction or going well for him in the second year of his five-year contract with the Tigers. He resorted to a quick fix Friday night, so rudimentary it seems almost silly. He wasn’t hitting his spots against the Los Angeles Dodgers’ imposing lineup — he couldn’t get the ball in to lefties, or away against righties — so he tried something he has never done before. In the fifth inning, he moved from the third-base side of the rubber, where he has pitched his entire career, to the first-base side of the rubber. 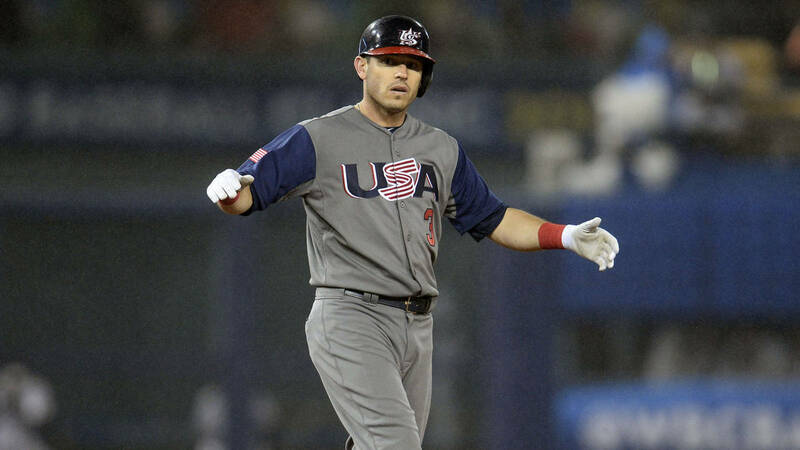 “Basically, I’m on the third base side and I’m missing middle. So if I move over to the middle of the rubber, I’m moving myself over five or six inches, it’s allowing me to get inside for lefties and away to righties,” Zimmermann explained. It felt strange, but there was some marginal improvement. Zimmermann said when he threw a fastball in, up and in, it stayed more true. It didn’t run back at all. He struck out Adrian Gonzalez in the fifth inning with three curveballs. I’m highlighting this not because I think it’s any sort of meaningful solution– Zimmermann thinks it helped, and it’s hard to find sufficiently granular data to evaluate in-game strategic shifts like this (his overall zone rate on Friday night actually was slightly lower than his full-season average)– but because it shows how desperate Zimmerman is for any measure of improvement, even a false one. He undoubtedly will work on this in the offseason, but, for now, he’s just like any ordinary person who doesn’t have the time or resources for a proper adjustment and looks for something easy to keep the game going. I recognized the move immediately because it’s what I do when I play tennis. Among many faults in my game is an inability to control the depth of my serves, which usually land well deep of the service box. Some lessons with a professional probably could help identify and correct the problem in my service motion. I have so few opportunities to play, though, that I want to spend them with family and friends, not in a training session with a stranger. That’s why, if I bomb the first serve deep, I just take a couple steps backward and try it again. 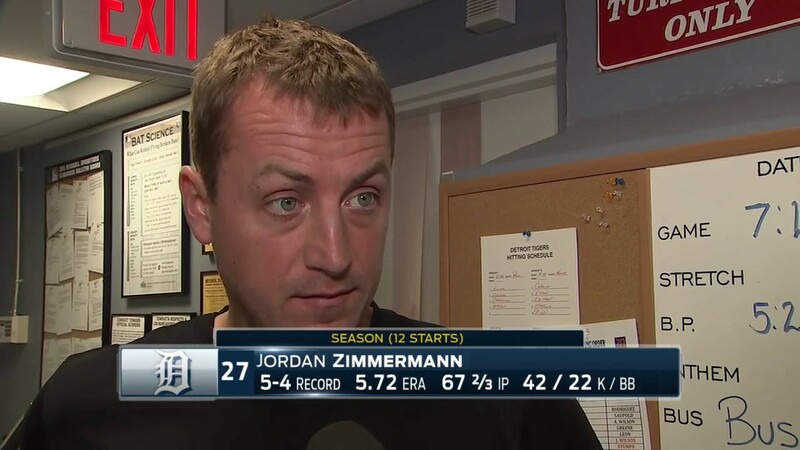 Of course, Zimmermann’s more than an amateur who’s given up on his dreamshallucinations of making it as a competitive tennis player, so it will be interesting to see what real changes and adjustments we see from him in 2018, as well as how he positions himself on the mound in his remaining starts this season. Minutiae, trivia, and the undead rumors of a Justin Verlander trade: welcome to the last six weeks of the Detroit Tigers’ 2017 season.